Proactiv revolutionized the at-home treatment of acne, and has been recognized as an iconic product trusted by millions of men and women. 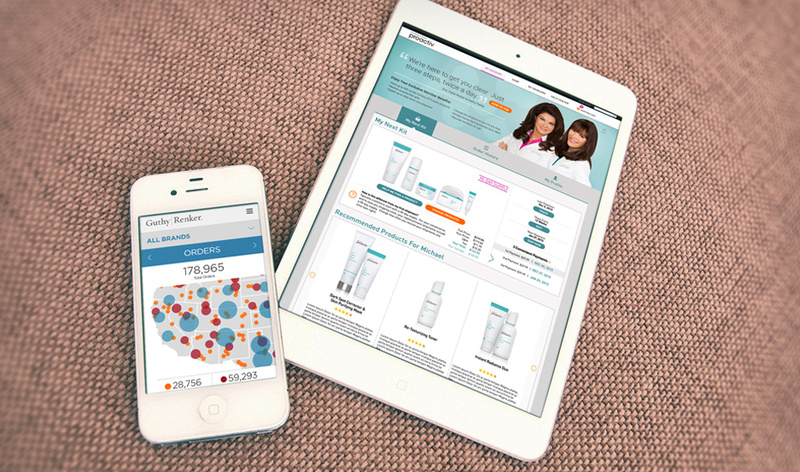 Redesign the Proactiv website to reflect the new brand style and cater to a mobile-first audience. Promote the newest product line, Proactiv +, and educate users on all of the benefits it has to offer. Prototype and design a back-end sales system for Guthy|Renker to monitor and analyze its data. By identifying the problem areas and listening to the clients’ concerns, we were able to create a system that focused directly on the user and their needs. Utilizing a simple yet intuitive UI, we helped users browse products and checkout easier than ever before. 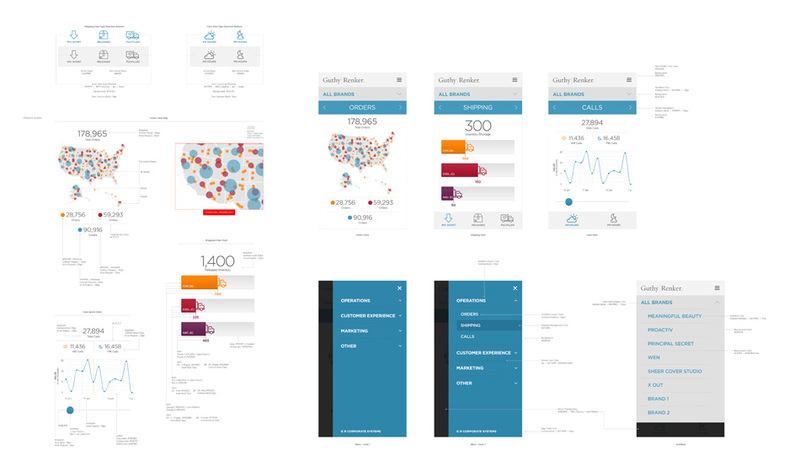 Creating an extensive set of wireframes and rapid prototyping helped us demonstrate key functionality to the client. A success story! 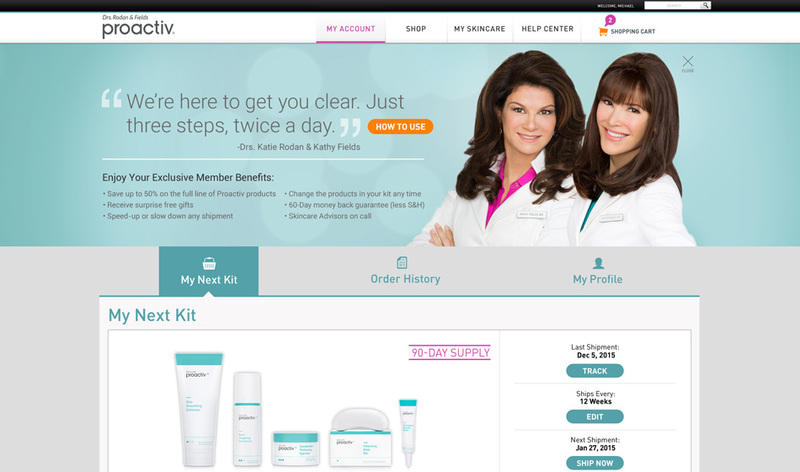 We worked closely with the Proactiv development team to deliver a website that was true to the Proactiv brand and maximized for the best user experience. The Guthy|Renker sales system allowed for a visually streamlined approach to their data and analytics. Haven Agency has worked with Guthy|Renker on multiple marketing campaigns, so they turned to us to offer our expertise on web design and development. Proactiv is one of Guthy|Renker's flagship brands, and it was crucial that we delivered our files on-time to hit their target launch date. 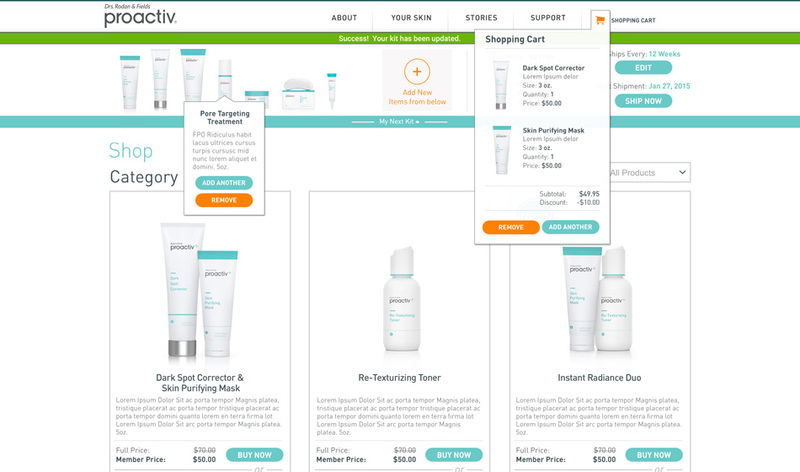 The new proposed design went through a rigorous approval process, and review by all of the Proactiv stakeholders to meet all of their new functionality requirements. Once the initial designs were approved we quickly moved into creating comps for every page of the website, including: products, celebrity stories, overview, support, store, and user accounts. We also designed mobile layouts for each page, and provided direction on touch gestures and core functionality. With a plethora of files to deliver it was important that we stayed organized and delivered items in multiple phases. 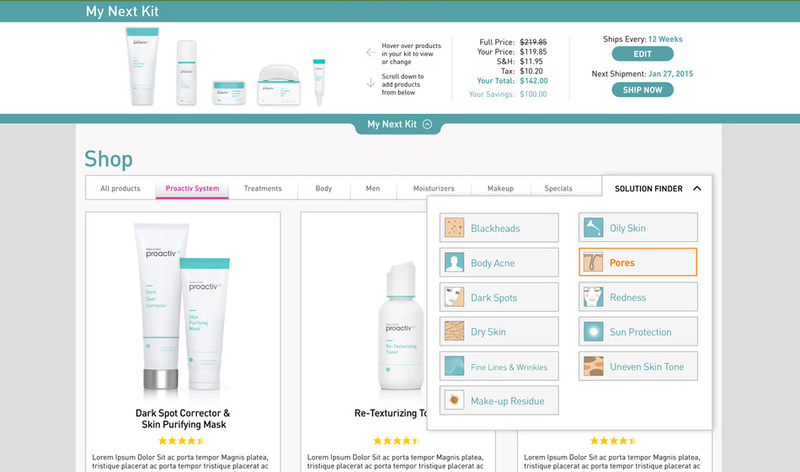 We collaborated with the Proactiv development team to bring the extensive update to fruition. We continue to work with the dedicated team at Guthy|Renker, and are honored to be apart of the Proactiv relaunch.